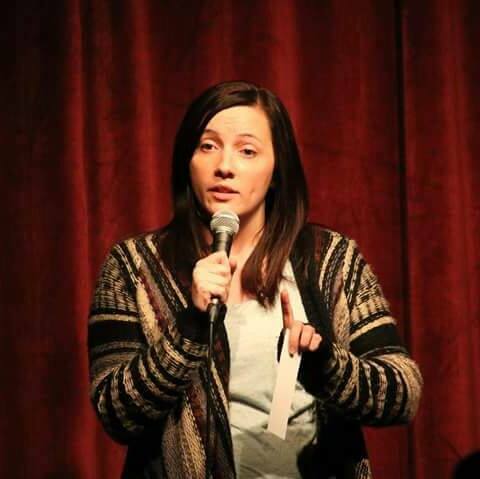 Comedian EILEEN DOBBINS has been on the Salt Lake comedy scene for quite some time now, her delivery is fun, witty and relatable. 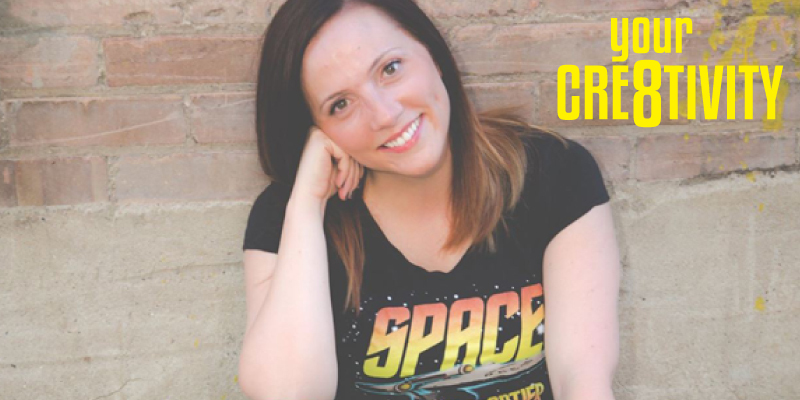 Your Cre8tivity is super happy to present her here on the blog to pick her brain, explore her craft and share more about what makes her tick! 1. Describe What You Do? 2. How Did You Get Where You Are? I started out in comedy the same way pretty much everyone does – I went an open mic and left the stage terrified and exhilarated and I was hooked. I just kept coming out to open mics and writing new material. Eventually, I got a little more comfortable onstage and I started getting spots on local showcases and independent shows. 3. What Type Of Conditions Are You The Most Creative? I believe that creativity breeds creativity. I write a lot of my jokes at open mics and comedy shows because it helps to feed off of the creative energy there. 4. What Has Inspired You Most? Why? 5. Being Home Schooled, How Do You Think That Has Affected Your Creativity? I guess it probably helped prepare me for being an oddball. There is something freeing in knowing that people think you’re weird anyway so it doesn’t matter what you do. It helps you think outside of the box. 6. Besides The Stage, Are There Other Venues Do You Like To Express Yourself? I consider myself more of a writer than a performer so I occasionally dabble in other forms of writing. My autobiography is nearly finished. 7. What is your ultimate goal with comedy? I feel like it’s too early for me to have too many grand designs. I’m still very much an amateur. My goals in comedy revolve around just learning how to hone the craft and use it to enrich lives – or at least my own. 8. What Is Your Favorite Star Trek Series? Why? I’m a Star Trek: (The) Original Series girl. Sure, the effects were lame. Sure, the writing was cheesy. Sure, the acting was way too over the top. It’s still near and dear to my heart. A small town girl from Montana with a love of the classics. I’m not hip, I don’t know slang, and I still like Harlem Shake videos. Aspiring writer and stand up comic. Reigning Mad Gab champion at Dobbins family gatherings. TED TALK: "Director JJ Abrams"
BLOG 003: "Comedian Steve Soelberg"
PODCAST 059: "Comedian Becky Braunstein"
PODCAST 035: "Comedy Writer Dave Vance"
PODCAST 054: "Greg Kyte, Comedy Church"